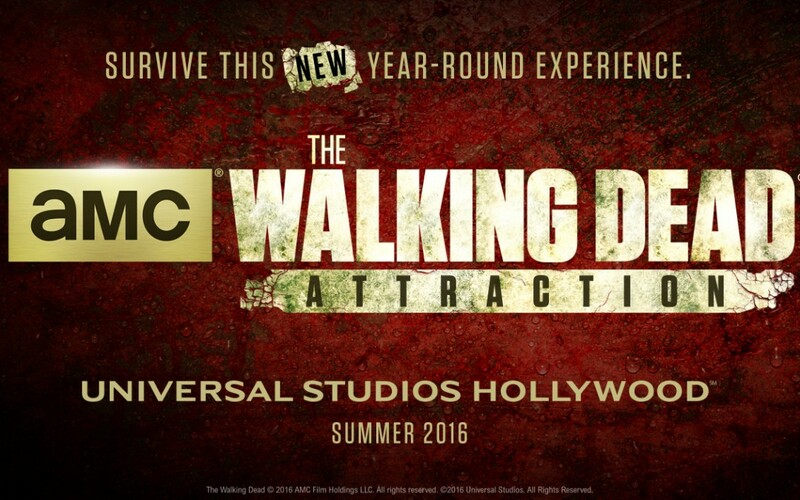 The Walking Dead fans will be thrilled to know that Universal Studios Hollywood will be adding an all-new, year-round Walking Dead attraction in Summer 2016. According to AMC.com, the attraction will utilize both live performers and animatronics to make visitors feel as though they are actually on the hit television show! The Walking Dead’s award-winning team, including executive producer and director Greg Nicotero, helped create the attraction’s props, staging, landscapes, special effects, makeup and costumes. It doesn’t get much better than that!